That’s when our wonderful program kicks in. 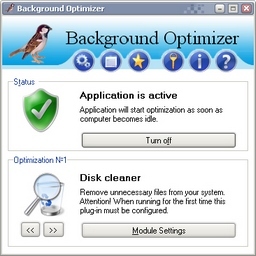 It will start to clean disks, install updates, defragment – everything that usually requires specialist to complete and uses additional time and requires unoccupied computer. With this application you divide these 2 hours of computer tuning into free 5 minute periods and don’t even think about it! How wonderful!